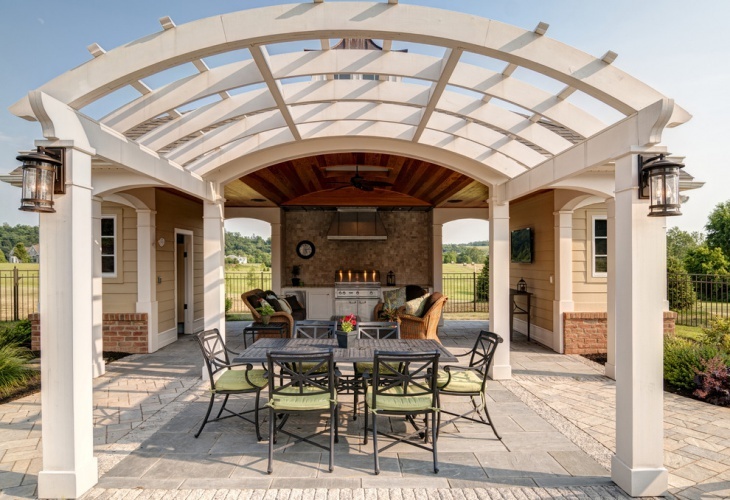 People looking out for beautiful pergolas like to transform the garden patio or outdoor porches into comfortable places for relaxation. There are a number of variations of the pergolas in the gardens. These are arched structures that are commonly used to rest in, and they also provide a support to the plants and climbers to grow upon. 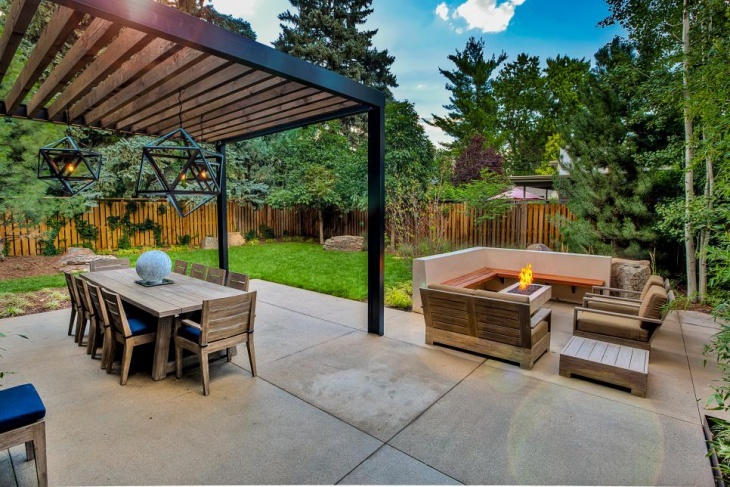 Here, you will get ten exclusive Wooden Pergola Design ideas that will live up to your expectation and taste. 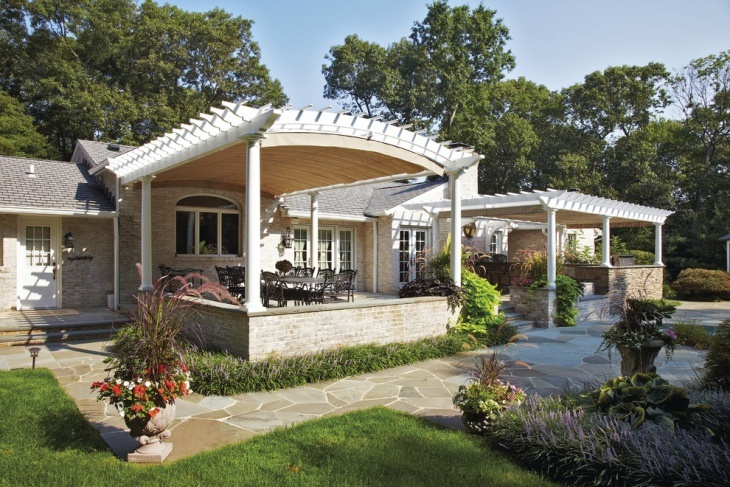 Spacious areas need elegant, dome-roofed pergolas. You can get a personalised patio when you opt for this particular pergola design, with a light pink shade. The tiles also have a pink tinge, that delivers them a uniform look. The metal furniture in the centre looks sophisticated. When the backyard garden is incorporated with a pergola, the plants need to be trimmed and designed. 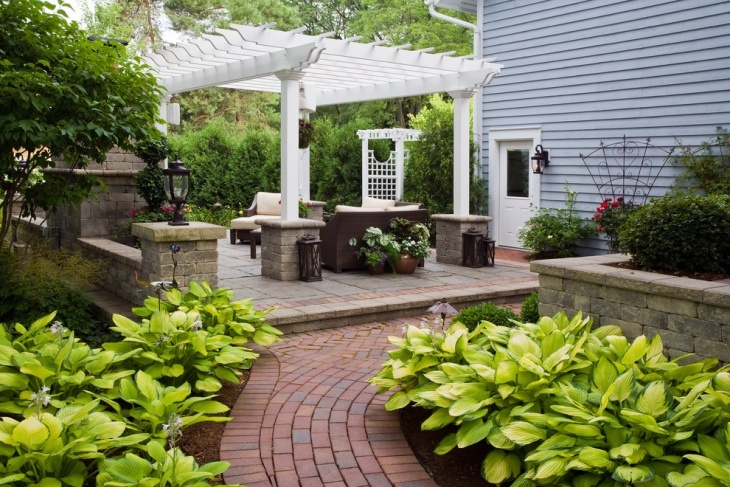 A curved brick walkway leads to the pergola painted in white. it is a part of a raised patio, where dark coloured sitting arrangements complement the white colour. 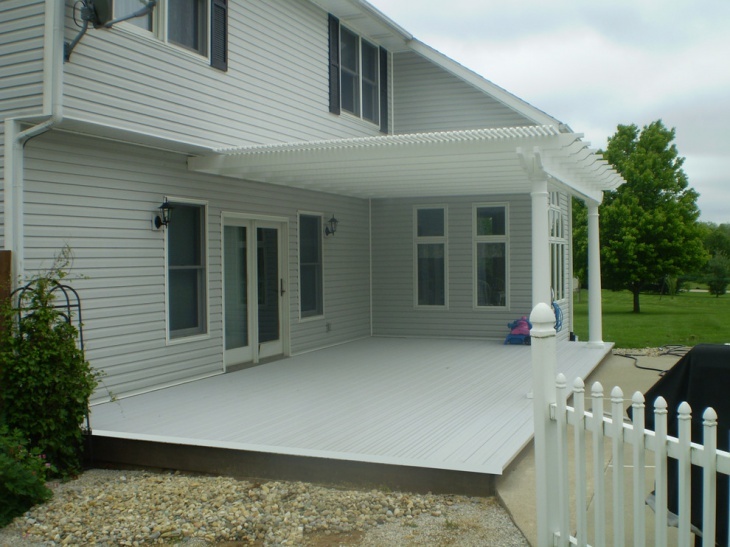 The white vinyl pergola looks classy when it is attached to the house. 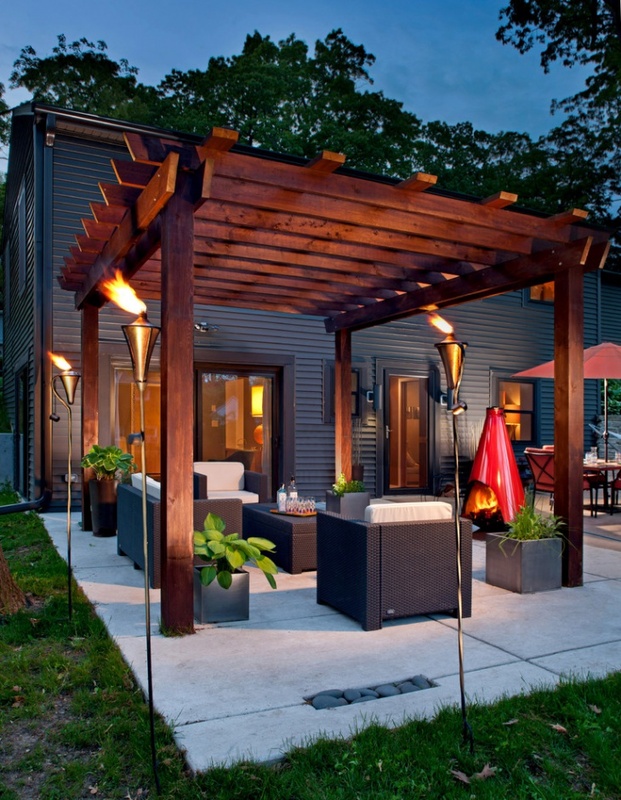 There is a compatibility between the points of the pergola and that of the house. It has a hanging awning and the large elongated glass panes look beautiful and compact with this setting. 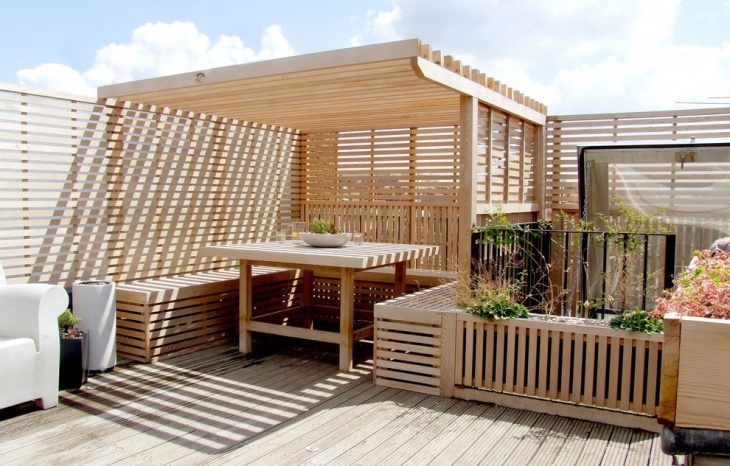 There are a number of contemporary homes that come with a roof-garden. 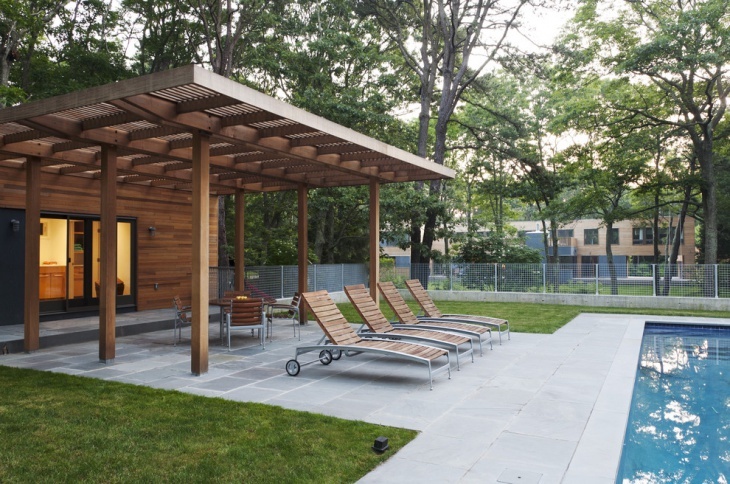 These pergolas, made of elegant oak wood is perfect for these settings. The light colour of the wood beautifully blends with the trendy tables placed at a corner. Along with the light coloured floor, it creates a perfect shade in the roof. 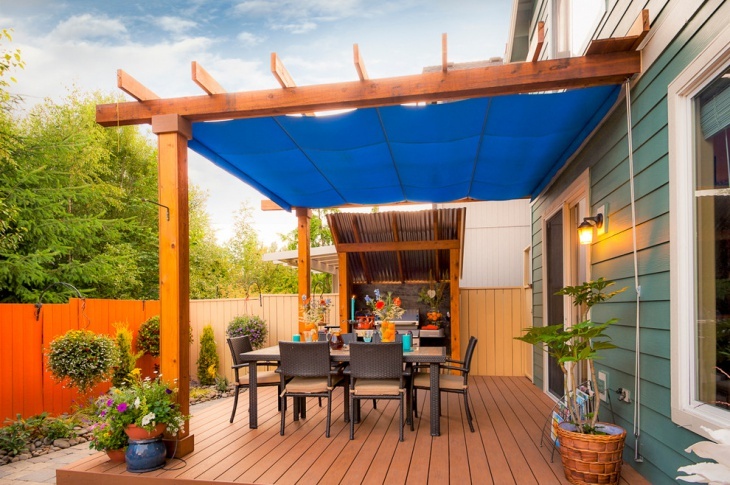 When you look out for a pergola made completely of wood, this is the ideal choice for you. 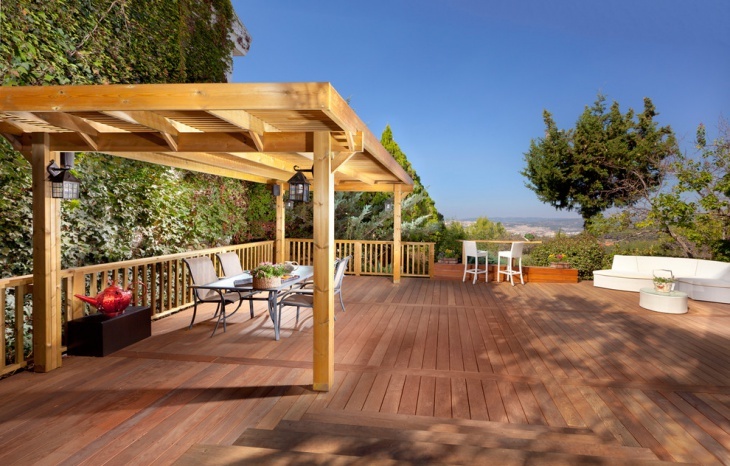 It comes with transitional decks where you can plant seasonal flowering plants. 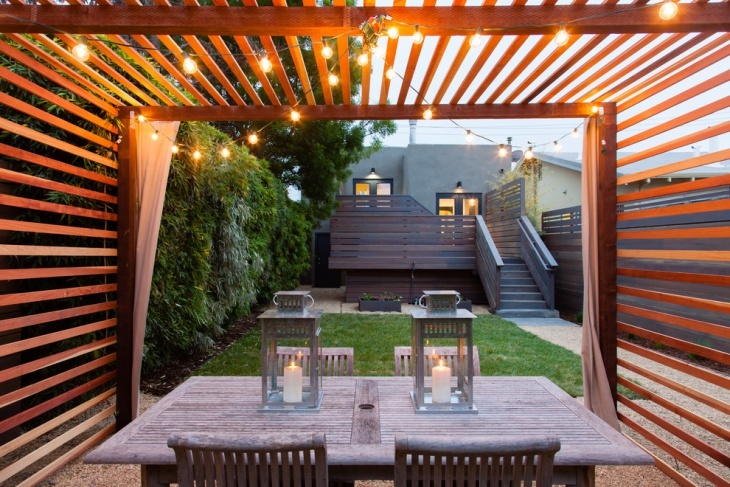 The light wood colour of the pergola is complemented with a lighter shade for the floor. There are times when you run out of space. 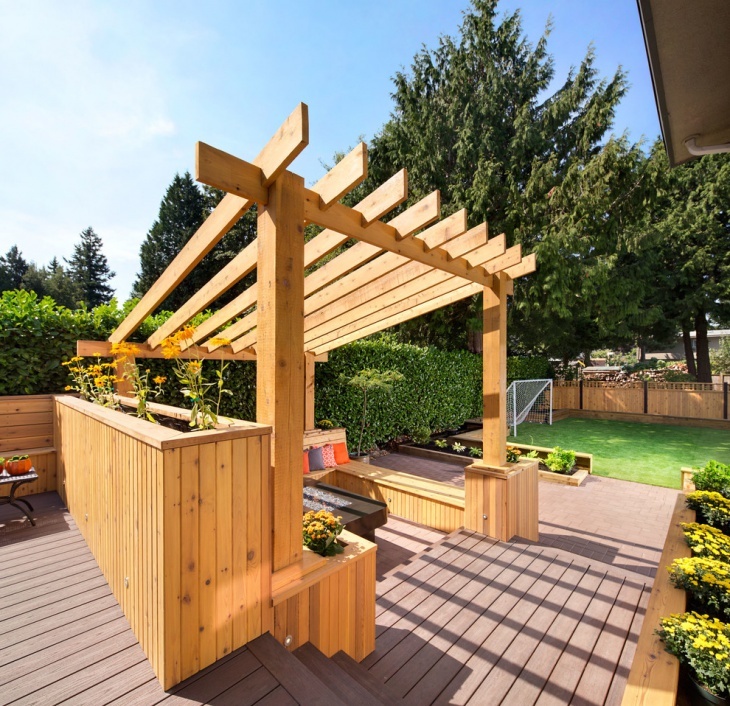 In these cases, you can get in touch with a small Hardwood Pergola for the garden. 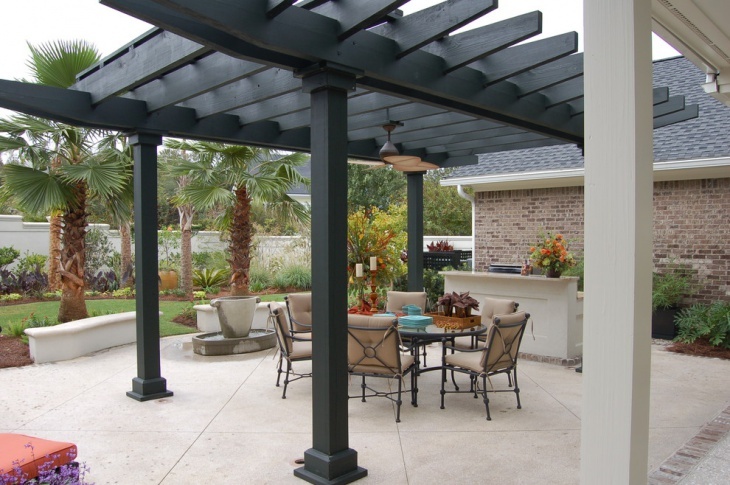 The dark beams of the pergola look contrasting with the lighter floors and furniture. It is a setting with a few accessories that delivers a minimalist look to it. 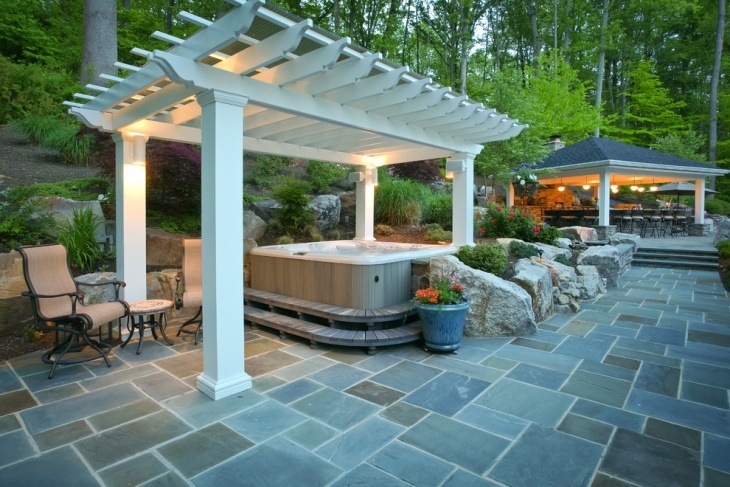 Wooden pergolas are inherent in beauty and elegance. When there is a walkway with pavers beside the pergola, the wooden architecture looks great. There are a few wooden beams supporting the structure. It goes well with the wooden walls of the surrounding structures. The pergola shades can be made innovative when there are fabric covers incorporated in the wooden structure to keep off the sunlight. These are ideal for houses located in a warm area. It has a perfect match with the brick pavers, designed in an interconnected manner. 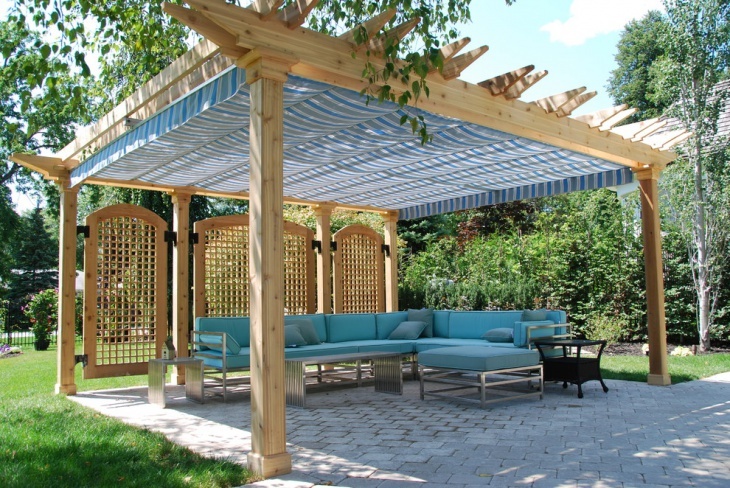 The blue sofas and cushions look contrasting with the light wooden pergola. 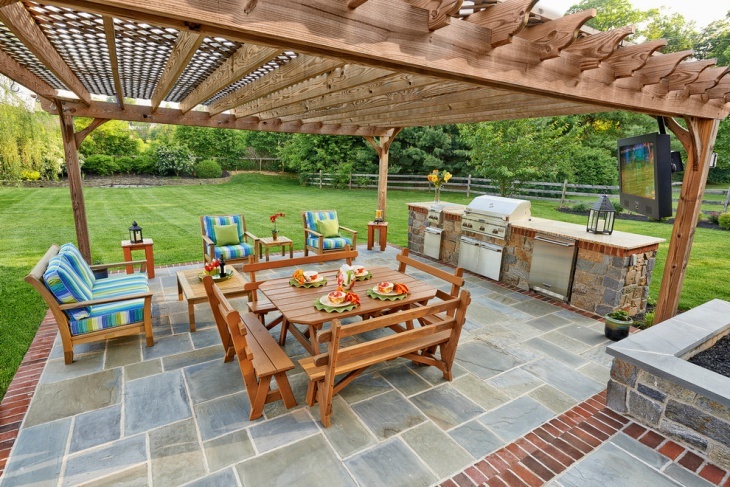 Well, people choose the Wooden Pergola Design according to their taste and aptitude. There are various factors like the climate, amount of sunlight, types of plants growing in the garden that determines whether they need a cover or not. 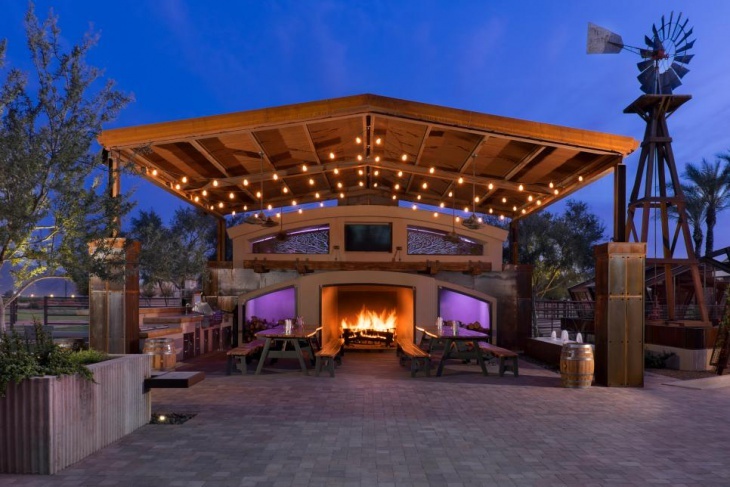 You can have your own ideas, so feel free to let us know about the innovative wooden pergola designs that you create.